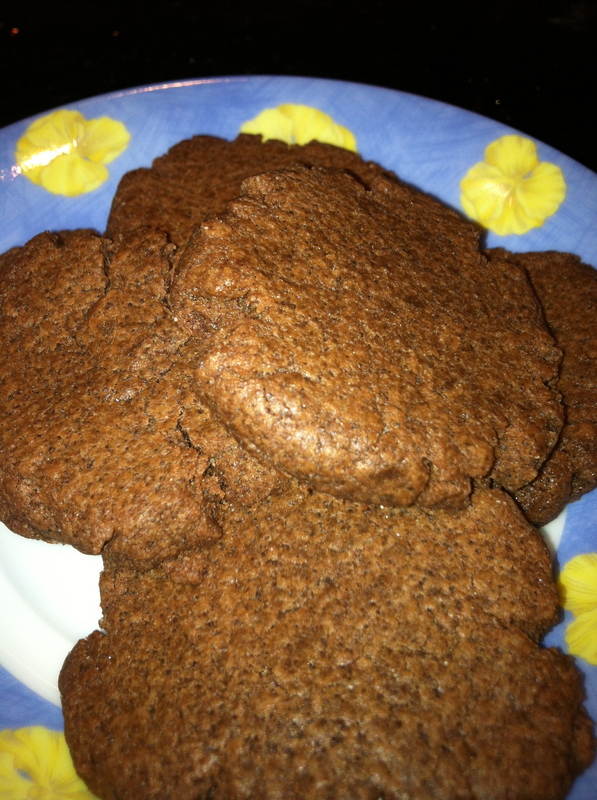 Nutella cookies…mmm, the idea sounds so delicious. 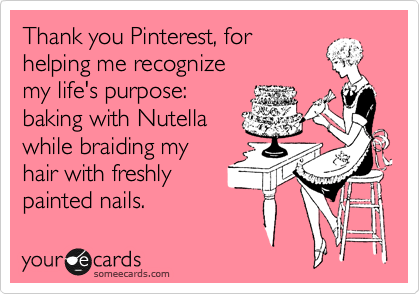 You may not have noticed this, but there is A LOT of Nutella on Pinterest. 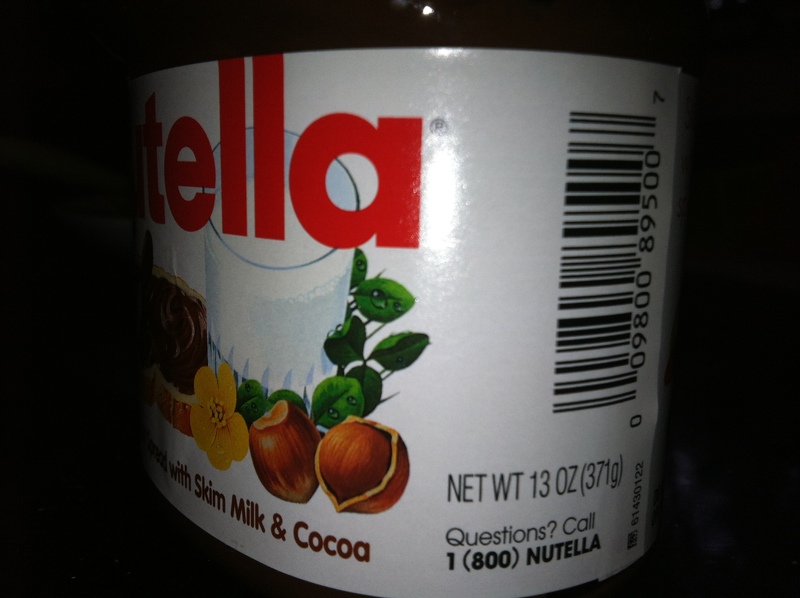 I’m okay with Nutella, the chocolate-hazelnut spread from Italy, but it’s not something I always have on hand. Recently though, Target was having a sale, so I bought a jar, figuring I could use it in a recipe from the boards. Preheat oven to 350 degrees. Blend ingredients together well. Form into 1″ balls. Place on cookie sheet. 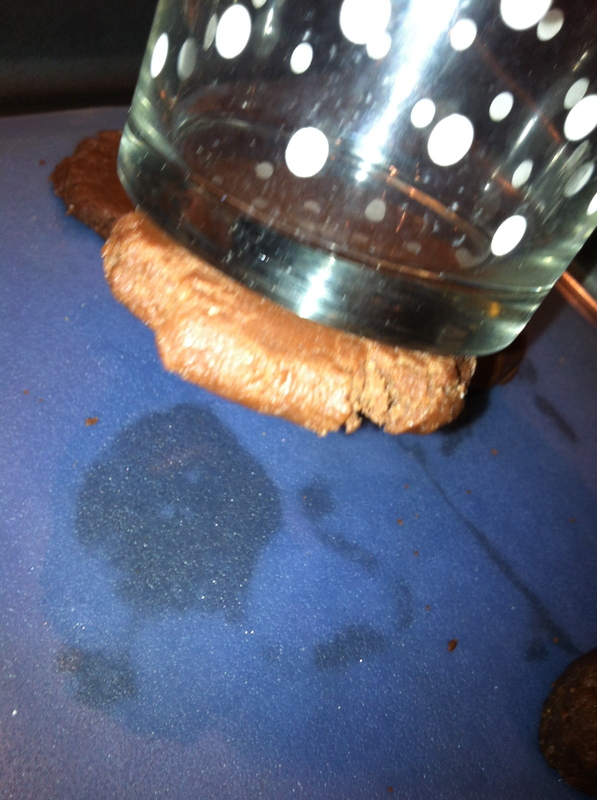 Press down firmly with the bottom of a glass. Bake 7-8 minutes until set. Cool. Something interesting that I found out right from the start: I had bought a Nutella container that claimed to have 13 ounces of product in the jar, but when I put the Nutella into a measuring cup, it only came out to 8 ounces and change. So, if you are planning to make a double batch of these, be sure to start with more than one small jar. 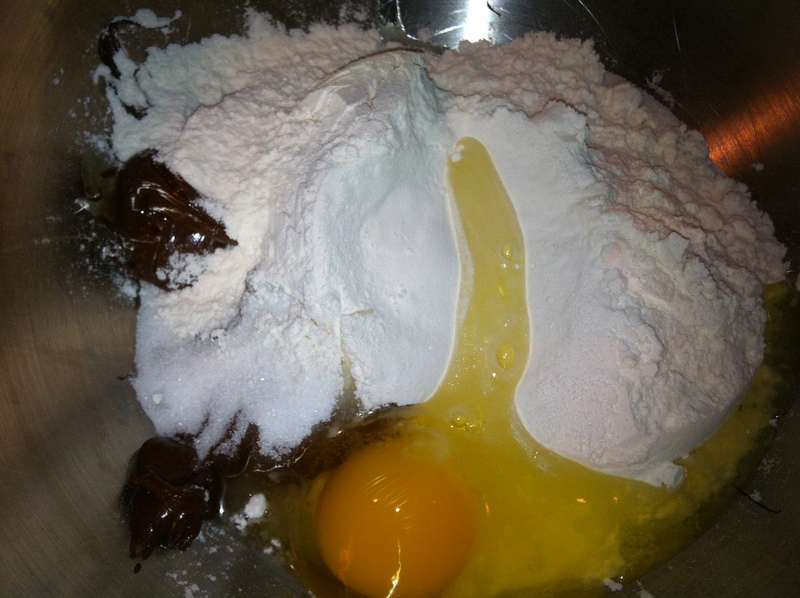 and blended them together, though they never formed a smooth dough. 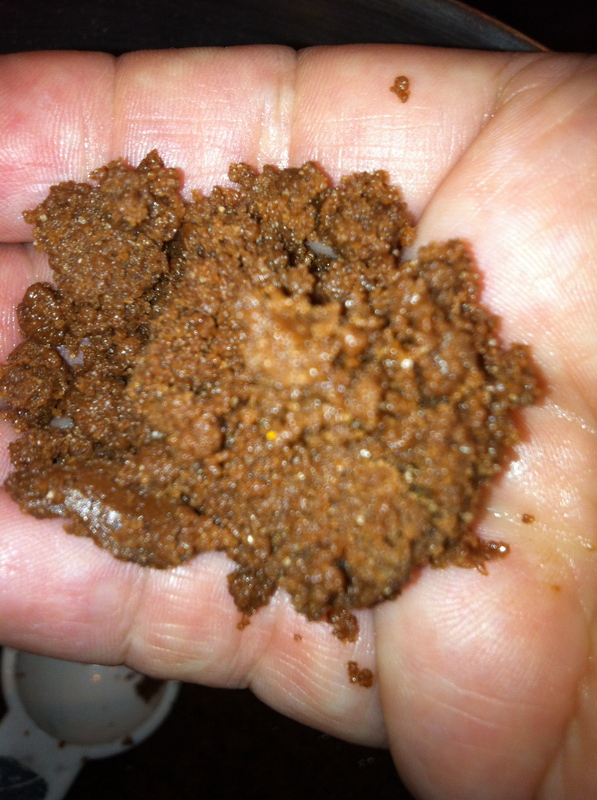 It was like working with soil. 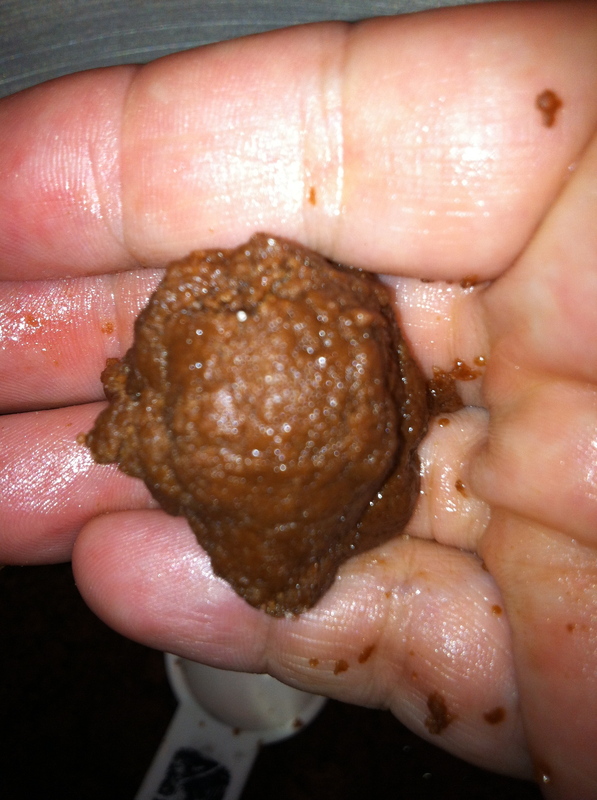 and formed little Nutella balls. At this point, I just hoped they were going to taste better than they looked. 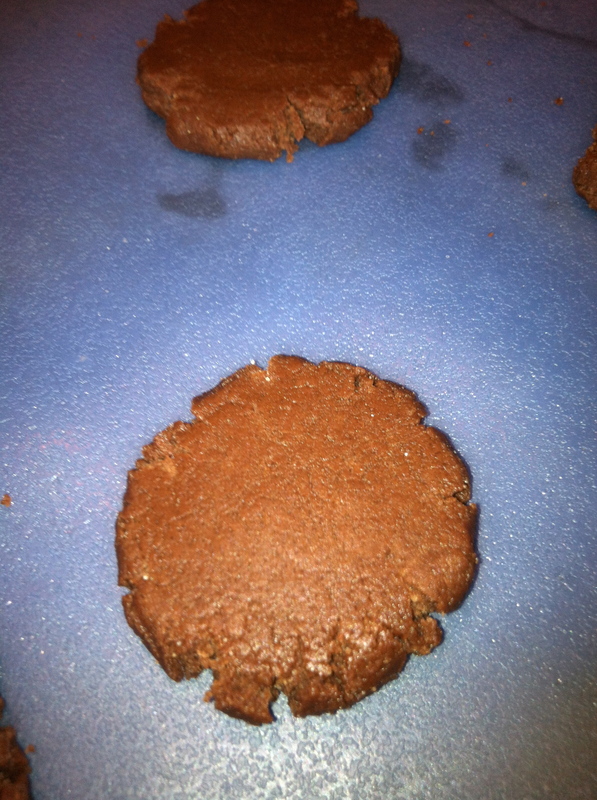 I tried flattening them with a glass, but they stuck to the bottom, so I ended up just using my hands. …than they did coming out. 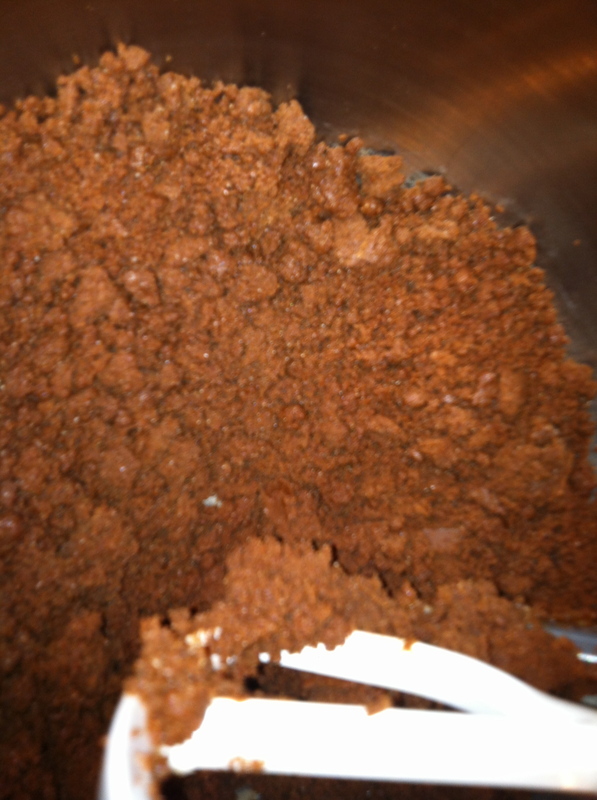 The result was a dense cookie, kind of like shortbread in texture. 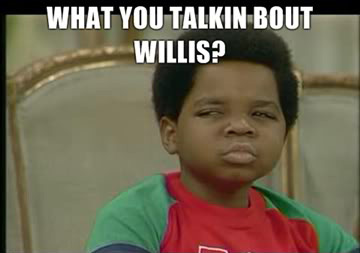 Overall, I was not impressed. The taste of the Nutella is nice, but I don’t like the way they look. I couldn’t get those edges to come out smooth. Plus, I’m also not keen on the texture of the cookie in general. 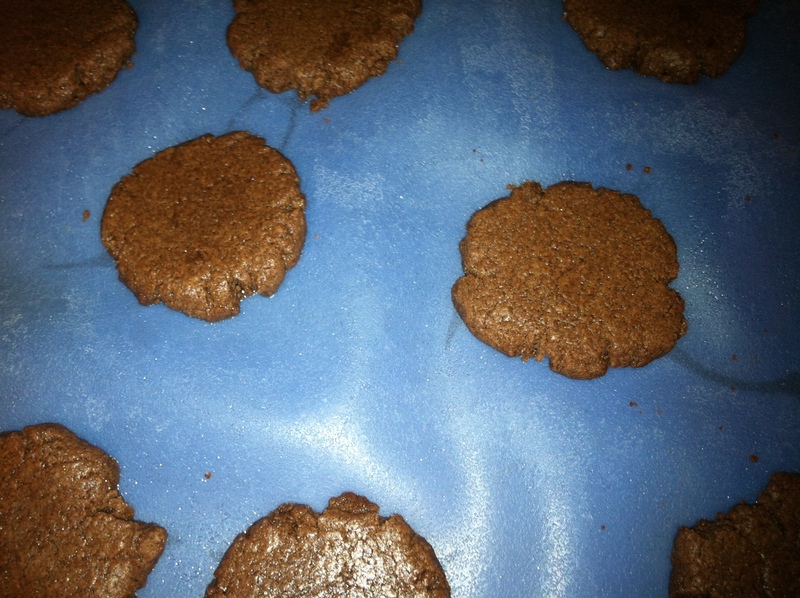 It felt a bit strange to make cookies without using baking powder or butter, and I have to wonder if these cookies might have turned out better with those ingredients somewhere in the recipe, more of a drop-cookie than the rolled-and-flattened kind. 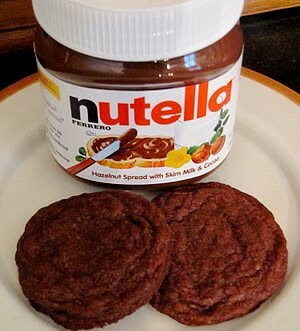 If you are a huge Nutella fan, these cookies are fine, but if Nutella is not your favorite thing, you might want to go with a different treat. A cup is 8 fluid ounces and a fluid ounce is different from an ounce. Thanks. I knew that, guess I just didn’t apply the knowledge here. :p I guess I figured that Nutella is kind of a fluid, and sold in a jar (jars are often used to contain fluids) so the laws of fluid ounces might apply. Lesson learned. One other thing I would like to mention about these cookies is that they did not keep beyond a day, and I stored them in an airtight container. After the first day they were really pasty, and not very tasty at all.